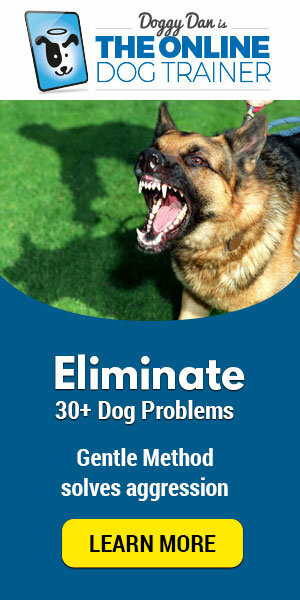 Find out how to stop my german shepherd from barking at strangers. Learn how you can prevent barking and help your dog act calm around guests and visitors to your home. A German Shepherd might start barking excessively at strangers if he is trying to greet the person or he might be trying to be territorial (trying to warn the stranger to leave the house) or he might be afraid of humans. FIND OUT THE CAUSE OF YOUR GERMAN SHEPARD’S BARKING: Mostly German Shepherds that bark at strangers are being territorial. 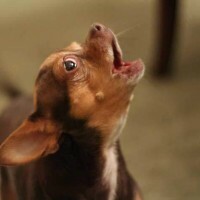 Territorial barking usually occurs because your dog is fearful and views strangers as potential threats. The dog’s natural instinct is to defend his territory, so they often bark when they detect strangers in familiar locations like their houses and their yard. Some German Shepherd might also bark at strangers to alert their human companions of a potential threat. Dogs that alarm their human companions of potential threats may sometimes even bark at strangers, even when they are not in their house or yard. 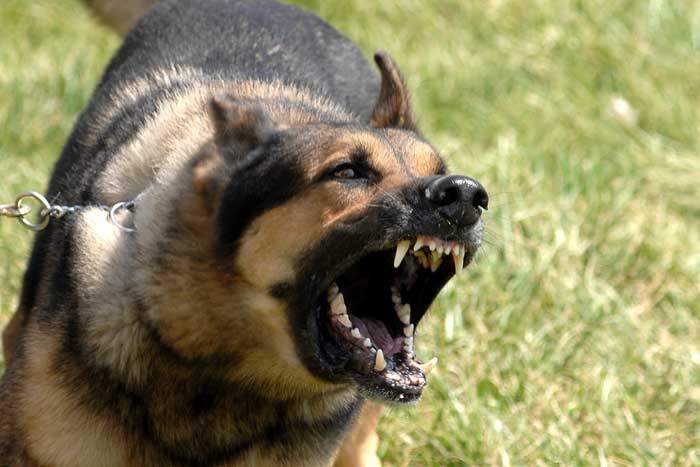 A German Shepherd may also bark when he sees strangers in the park, on the street or any other unfamiliar location. DO NOT YELL OR SHOUT AT YOUR GERMAN SHEPARD FOR BARKING: If your German Shepherd is barking at strangers because he is scared or anxious, shouting at him will only add to his stress. Instead of shouting at him, you should train him to respond to strangers in a proper manner and to only bark when necessary. DO NOT DEPEND ON A MUZZLE TO STOP YOUR GERMAN SHEPARD FROM BARKING: Some dog companions may attempt to use a muzzle to conceal their dog’s barking. Most times, dog companions use anti bark collars and muzzles as a method of punishment for their dog. The use of anti bark and muzzles should be a last resort because they are not as effective in training the dog properly and they can result in behavior problems. TEACH YOUR GERMAN SHEPARD THE “QUIET” COMMAND: This command will teach your German Shepherd that he is allowed to bark when he sees a stranger in the house until you say the QUIET command. The dog will not bark more than three to four times and then stop when you calmly say the QUIET command. Teach him this command when a stranger comes to your house, for instance, a delivery man. Allow your dog to bark three to four times and then stand over him and say the QUIET command. Then go to your German Shepherd and gently hold his muzzle closed with your hand, then say the QUIET command once more. Release the dog’s muzzle and move back away from him. Then, call him away from the door or window by saying his name and using the HERE command. Then use the SIT command to make your dog sit and reward him with treats and praise. If he still remains quietly in his sitting position for the next several minutes, reward him with many more treats and lots of praise until the stranger is gone. However, if the dog starts barking the moment he is in a sitting position, repeat the sequence again and do not reward him until he sits and remains quiet. If you feel uncomfortable holding the dog’s muzzle or if you feel like you might scare him if you do so, try the QUIET command without holding the dog’s muzzle. TRY THE “QUIET COMMAND WITHOUT HOLDING YOUR GERMAN SHEPARD’S MUZZLE: When a stranger enters your house, allow your German Shepherd to bark three to four times, then move towards him and say the QUIET command. Encourage him to be silent by rewarding him with treats and praise. Repeat this procedure frequently over a period of several days until your dog starts understanding what the QUIET command means. Your dog will stop barking at strangers once you say the QUIET command. After many days of practicing the QUIET command, increase the time between giving the QUIET command and giving the dog a reward. Say the QUIET command and wait for at least two seconds before rewarding the dog with treats. And then gradually extend the waiting period to five seconds, then 10 seconds, then 20 seconds and then 30 seconds. GIVE YOUR GERMAN SHEPARD TREATS TO STOP HIM FROM BARKING AT STRANGERS DURING A WALK: If your German Shepherd often barks at strangers when he is outside the house, you can divert his mind away from barking by giving special treats that are soft, like cheese, chicken or hot dogs. Try to learn how to read the dog’s body language and signs that suggest that he is about to bark. This varies according to the dog but might include, ears pricking, a change in the way he moves or hackles rising. When you observe that your dog is showing these signs, distract him from barking at strangers. Make sure you hold the treat in front of his nose so that he can see and smell the treat. Give him the treat as he moves past a stranger that might cause him to bark. You can also use the SIT command to make your dog sit and eat the treats while strangers walk past him. And remember to reward him with treats and praise if does not bark as people move past him. TRAIN YOUR GERMAN SHEPARD HOW TO RIDE IN A CRATE IF HE BARKS AT STRANGERS IN THE CAR: Some German shepherds may start barking at strangers while riding in a car because of they anxious or scared of the stranger. Make your dog stay in a crate when he is riding in a car, this will limit his view and give him a lesser reason to bark. However, if the dog is not comfortable riding in a crate, you can train the dog to wear a head halter while riding in the car. A head halter had a calming effect on the dog (it relaxes him). You can also use the head halter to train him not to bark at strangers during a walk or around the house. A head halter is a temporary solution to stop a dog from barking at strangers, so do not rely solely on it to solve the problem. One of the most permanent solutions to the problem is by training the German Shepherd not to bark at strangers. 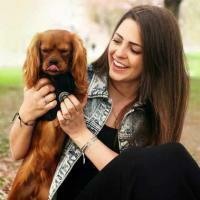 Are you looking for a dog trainer, you can find some of the best trainers online. Doggy Dan is one of the best online trainers in the world. 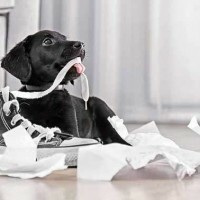 Visit Doggy Dans Online Dog Trainer to get one of the best dog training online.